Our revolutionary plain sandalwood tablecloths combine specially designed fibres with a unique soft touch finishing for a luxurious "cotton-soft" feel. Featuring a number of market leading features including unsurpassed colour retention, superb stain release & minimal shrinkage. There is a science to table linen. Our revolutionary plain sandalwood tablecloths combine specially designed fibres with a unique soft touch finishing for a luxurious "cotton-soft" feel. Our unique tablecloths offers unsurpassed colour retention, superb stain release, minimal shrinkage, excellent resistance to snags and outstanding absorbency. It`ll take more than a spilled glass of wine to spoil the occasion. 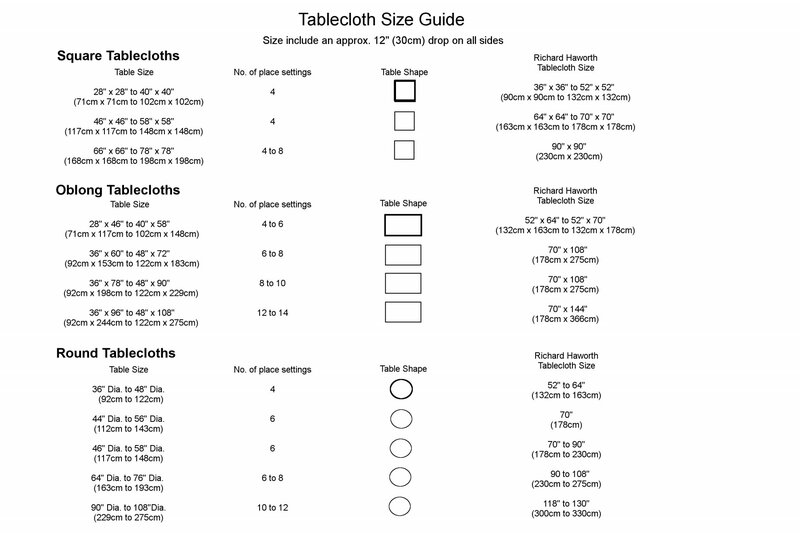 Very good product, second time I have purchased these tablecloths. My only disappointment is that they don’t always launder well. Curry, and wine ruin them. Our Response If you wash the stained items on a full 60 degree wash, if the stains remain then a 70 degree wash, then 80 degrees, checking each time to see if the stains have been removed. If they remain please let us know and we would be happy to assist! Excellent products they fit perfectly and have washed well . The quality was very good and the colour was perfect for my purposes. I will certainly share this information with my friends and family.